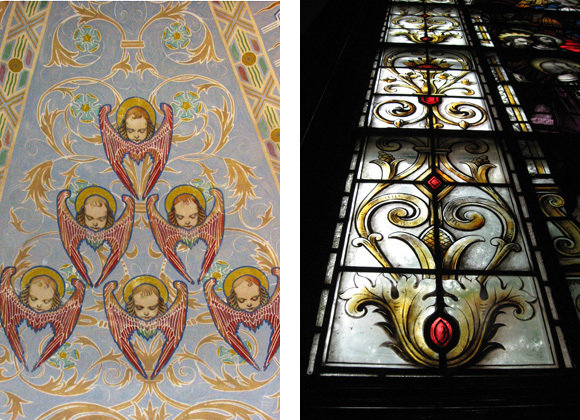 St. Mary's of the Assumption Church - Volz & Associates Inc.
•	Original decorative interior finishes, now concealed beneath layers of paint, were revealed by a materials conservator serving as a consultant on the project team. 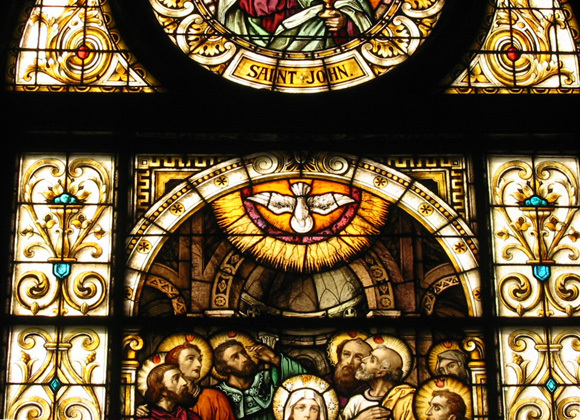 Fluctuating humidity levels and water infiltration have caused the original copper foil and tempera coatings to delaminate from the plaster. 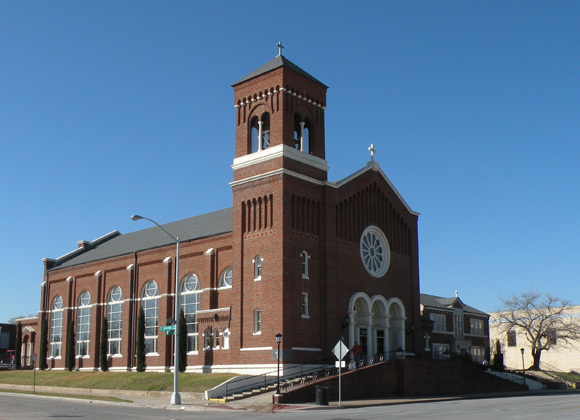 St. Mary’s is a truly beautiful and well-constructed church, designed in the Romanesque Revival style. 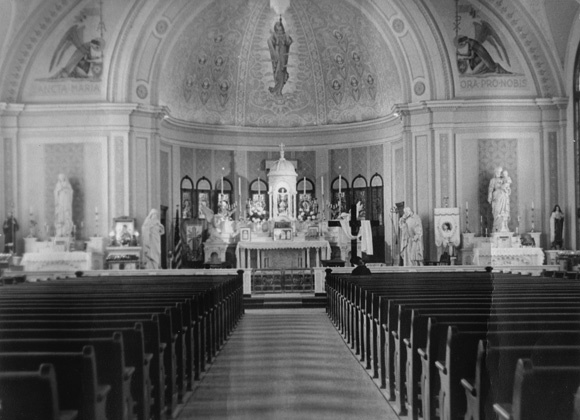 It has been cited as one of the best examples of ecclesiastical architecture designed by the architectural firm of Sanguinet, Staats and Hedrick. 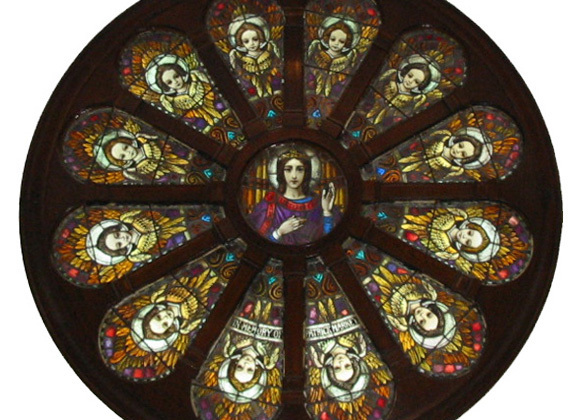 The stained glass was created by the F. Mayer Studio of New York and Germany, and is of exceptional quality. 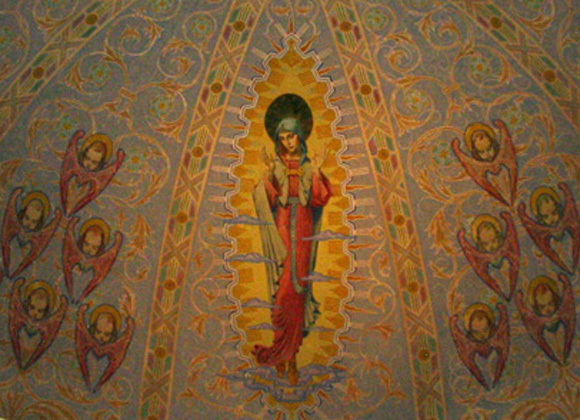 Original to the church is a mural of the Virgin Mary created by the Milwaukee-based studio of Conrad Schmitt; in 1944, artist Harry Larsen created additional decorative finishes in the Church.